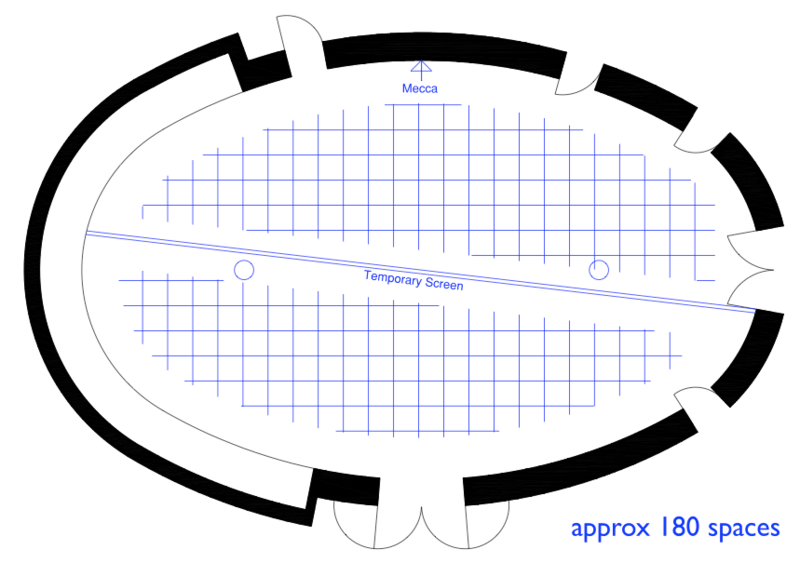 The building is divided into two separate zones: the central elliptical prayer space, for collective worship or gathering; and the outside perimeter, (flat roofed) , which houses all of the functional necessities of such a building: Storage, 2 kitchens/ meeting rooms , Toilets , and an Office . 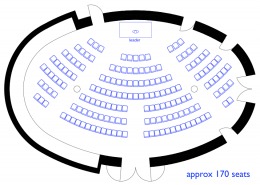 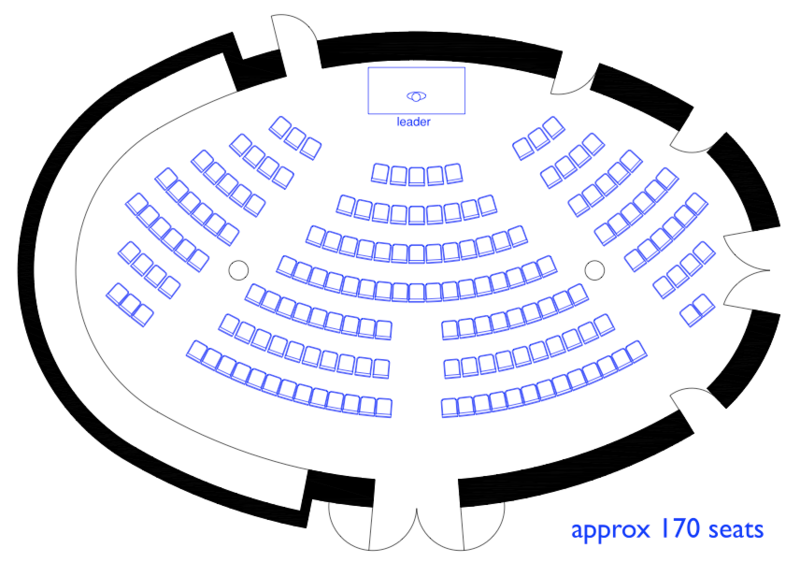 The Prayer Space: The oval Shape of the prayer space means that it is surprisingly adaptable , allowing many different configurations involving large or small numbers of people – see different configurations below. 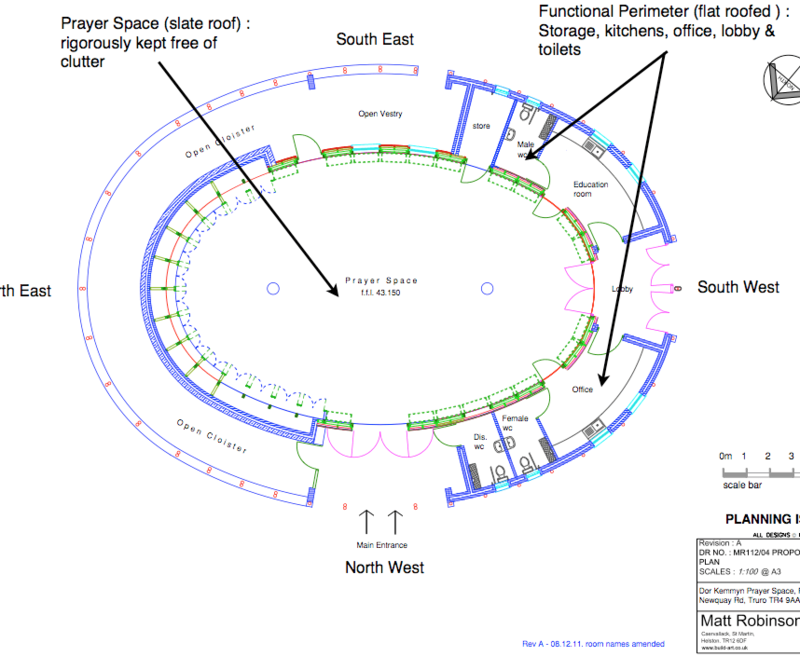 Some Groups and Faiths will use Chairs and tables , others prayer mats: whatever is not needed will be stored in one of the double cupboards in the perimeter wall. 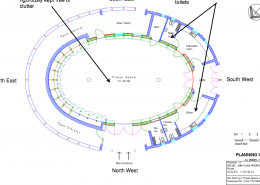 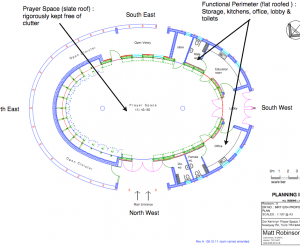 Some configurations will choose to focus on the centre; for others the focus may be towards the shallow West wall; small groups could congregate behind a column in the tight end. The maximum capacity of the building is 170.